Sliding windows are among the easiest of windows to maintain. 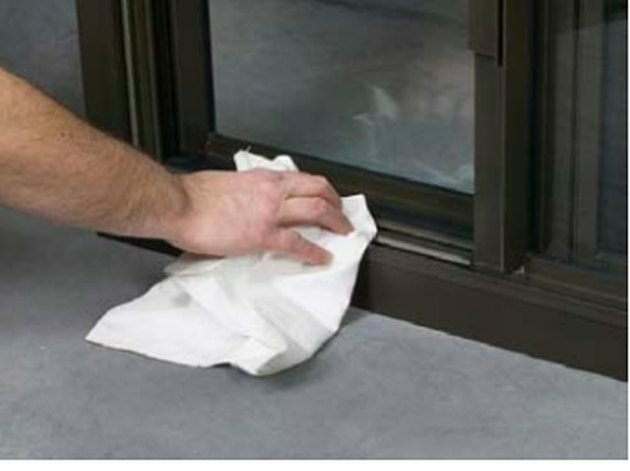 It takes little effort to keep your sliding windows clean and operating smoothly. The track in which the movable part of the window slides needs periodic cleaning and lubrication, and the weatherstripping may need to be updated once in a while to prevent drafts and condensation. When condensation goes unchecked, the resulting fungal growth can rot parts parts of wooden windows. It's easy to prevent this, but if the situation has gotten out of control, the repair is usually straightforward. 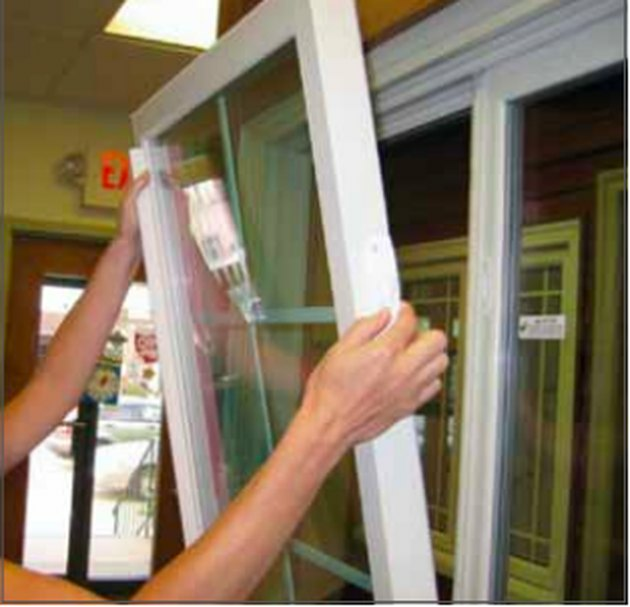 Most repair tasks, as well as the the job of cleaning the glass, are made easier by the fact that the window sashes are removable, so the first maintenance task you should learn is how to take the sashes out of the frame. Some sashes tilt out from the top, others from the bottom. Sliding window sashes fit into a top and bottom track much like a sliding shower door or closet bypass door. 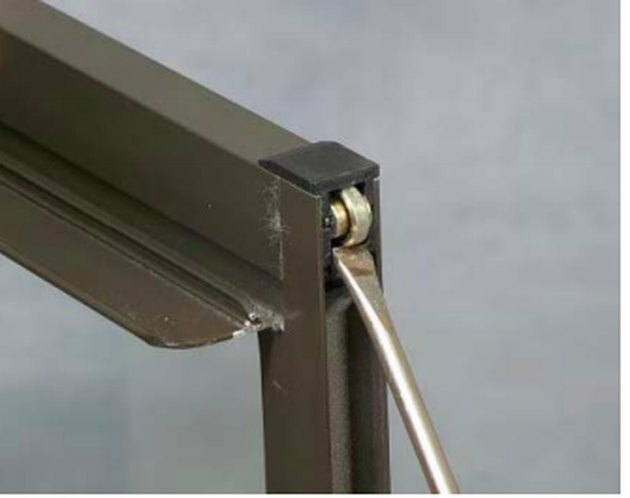 The bottom track (called the sill track) often has a runner that fits into a groove on the bottom of the sash, and to remove the window sash you have to lift it off this runner. The design of the window provides about 3/4 inches inside the upper track (called the head track) between the top of the window and the surface of the track so you can do this. To remove a sliding sash of this type, move it far enough toward the center of the window to get a grip on both edges, then lift and tilt the bottom frame inward, toward you. When the bottom clears the frame, lower the window to release the top edge from the upper track. Some sliding windows have tilt latches that secure the top of the sash to the head track. To remove the sash from one of these windows, slide it toward the center, grip both edges, then pull the tilt latch on the outer edge of the sash frame forward, toward you, while rotating it 90 degrees. When the top of the sash is free, tilt it toward you, then lift to remove the bottom of the window from the sill track. Your window may have a fixed sash that doesn't slide. To take this sash out of the frame, you usually have to remove the screws securing it to the head and sill tracks. The screws are usually located on the edge of the sash closer to the middle of the window. Once you take out these screws, the sash will slide, and you can lift it out the same way you lifted out the sliding sash. 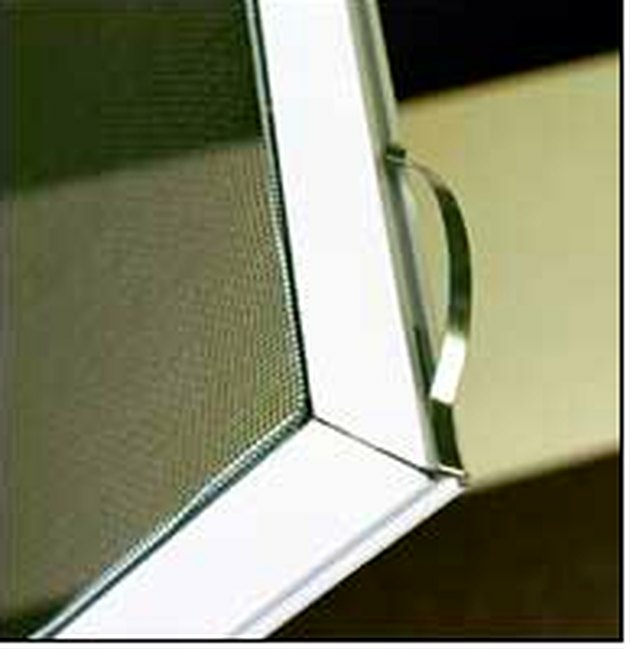 Window screens have metal strip springs to hold them in place. It's possible to remove the screens from sliding windows without first removing the sashes. Most screens have a metal strip spring on the top of the screen along on the sides and two small handles on the inside of the frame. Grasp one of the handles with each hand and lift the window or move it sideways until it clears the frame on one side; then tilt the screen toward the outside of the window and push until the other edge clears. Hang onto the screen tightly to avoid losing it to the wind, turn it sideways and bring it indoors. Now you can clean with a mild detergent or repair it as needed. When you replace the screen, insert the side with the strip spring into the track first, then push until the other edge clears the frame. Push the screen into the track and let go; the tension from the spring will hold it in place. Clean both the head and sill tracks often to keep the window sliding smoothly. Whether the window frames are wood, vinyl or metal, there's often a certain amount of metal in the tracks themselves, and it will rust if you don't clean and lubricate it regularly. Sliding windows don't work well on rusted runners, so to prevent sticking, clean the runners every six months or whenever they get dirty. Rub a damp cloth along the runners to pick up stray dirt and use a toothbrush to force dirt out from the between the runners. After cleaning, spray a dry silicone spray on the tracks to make the windows slide effortlessly. The head track doesn't need as much maintenance as the sill track, but it doesn't hurt to lubricate both tracks at once. This is easiest to do if you first remove the sashes, but you can do it with the sashes in place. Just slide them back and forth to distribute the silicone spray. Force rollers out with a screwdriver when it's time to replace them. Some sliding windows are fitted with rollers that glide along the sill track. These rollers wear out and need replacement every few years—the exact frequency will depend on how much you use the window. To remove a roller from its housing, wedge a flat-head screwdriver behind it and force it out. To install the replacement, align its axis with the notches on the housing and push it in place with your finger. 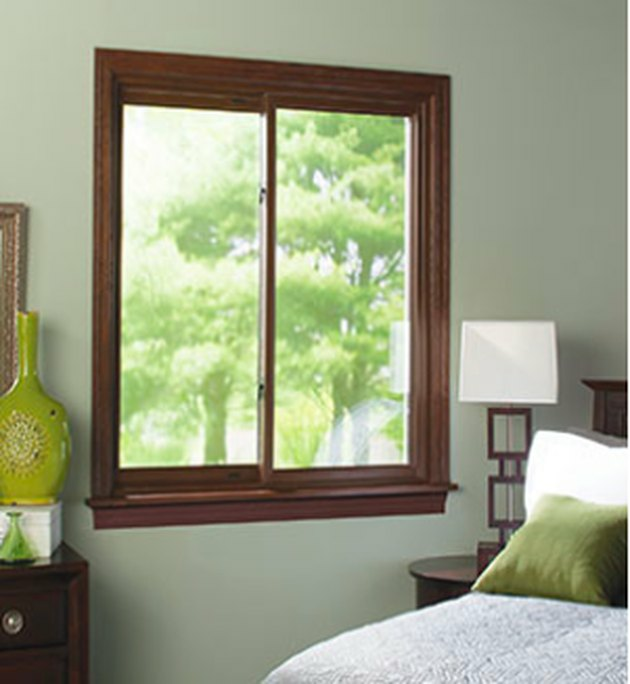 Wooden sliding windows usually have a vinyl coating on the outside to protect the wood fro weather. The inside wood lasts longer if you protect it with a penetrating oil finish or varnish. The finish offers the best appearance and protection if you renew it every few years. Wooden windows are vulnerable to rot in humid climates. When rot occurs, dig it out with a chisel and fill the void with epoxy wood filler.